The good news? Snacking is the ideal way to keep up your metabolism. You should eat every 3 hours to maintain a steady metabolic rate. But WHAT you eat is just as important as WHEN you eat. Ever grabbed a bag of chips or a candy bar, only to feel guilt twist in your chest that stops you from truly enjoying it? Or worse—your kids are hungry, and you resort to giving them something fried, even though you know you should be giving them kale or something nutritious like that. Never fear! We have a solution. Here’s a list of 19 healthy snack ideas that will fill you up, satisfy your cravings, and please your taste buds. Everything tastes better as a chip—even zucchini. Zucchini is a great snack option because it has no fat, a lot of vitamin C, and even a little fiber. 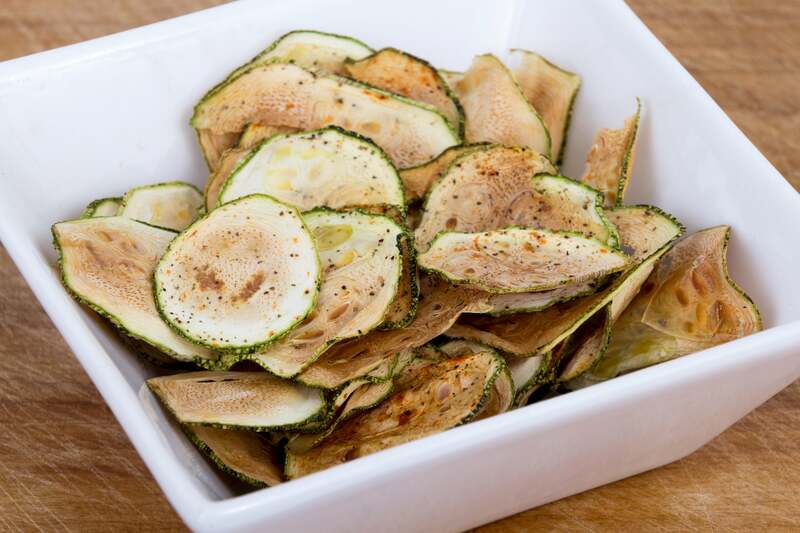 To make zucchini chips, cut the zucchini into thin slices and drizzle with olive oil. Coat with Parmesan cheese, bread crumbs, and oregano to make a crunchy, nutritious snack! Check out the recipe here. 2. We Scream for Protein ice cream! This is literally a jackpot, listen to this: Protein ice cream can have 70% less sugar than normal ice cream and up to 88% less fat! There are dozens of delicious flavors, from birthday cake to peanut butter. The only downside: it has to thaw out a little longer than normal ice cream (because of the low fat content). But that’s a small price to pay to satisfy your late night sweet tooth in a nutritious way. Want to check out all the flavors? Click on over to Chilly Cow ice cream. Everyone agrees: There’s something satisfying about peeling away strand after strand of white cheese. Along with that weird feeling of gratification, string cheese benefit you by providing 8 grams of protein and 200 mg of calcium. We personally love light string cheese because of its decreased fat content. Slice ‘em and bake ‘em at home with a little olive oil and sea salt (get the recipe here), or buy a bag at the grocery store. If you make them at home, they have about 50 calories. If you buy them, check the nutrition facts carefully (‘cuz the calories go up). Find a brand that is baked to decrease the calories and fat content. These chips are salty, crunchy, and tasty. It’s common knowledge even among preschoolers: vegetables are healthy. When combined with hummus, carrots, cucumbers, and peppers make up a delicious nutrient balance. 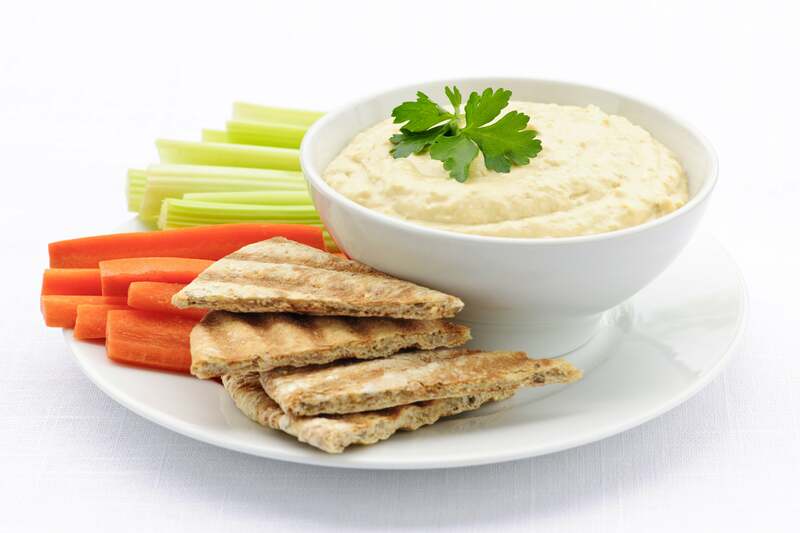 Hummus is a delicious dip made from chickpeas. Half a cup contains about 9.5 grams of protein. It’s high in unsaturated fats (the “good” kind of fat) and high in fiber. Look for a brand that’s low in sodium or make it at home yourself. Here’s a link to an awesome hummus recipe. [You’re welcome.] If you really want to go crazy, cook up roasted chickpeas. 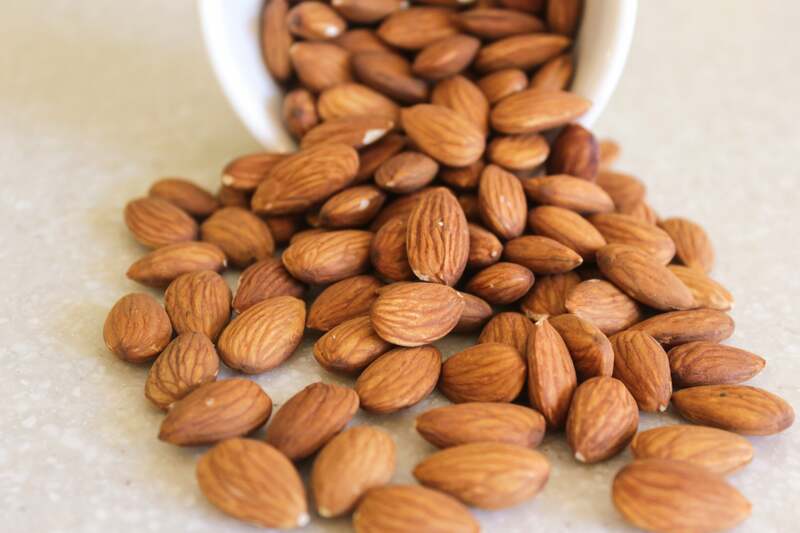 Almonds get all the glory for being a great snack food, but that’s because...they really are a great snack food. They are full of unsaturated fat, which will decrease your cholesterol and promote heart health. If you don’t like almonds, try unsalted pistachios. Beware: these are addicting. (Like sooo yummy.) Picture this: a bite-size ball of oats, peanut butter, mini chocolate chips, honey, and coconut. All you have to do is mix, roll, and refrigerate—no baking required. You can add protein powder, cranberries, hemp seeds, whatever you want! There are dozens of recipes all over the internet, so feel free to try them all! Here’s one from the blog Smashed Peas & Carrots. 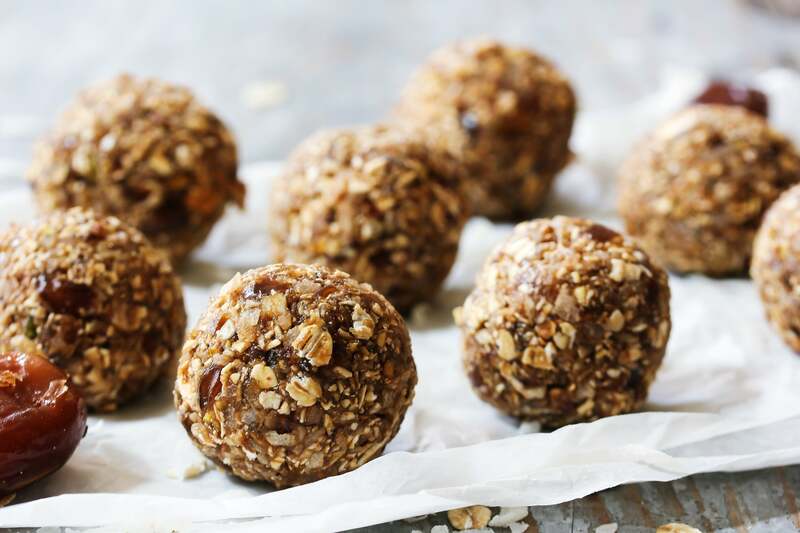 Protein balls are an ideal on-the-go snack that will give you a quick, delicious energy boost. Sometimes we all need something a little savory. 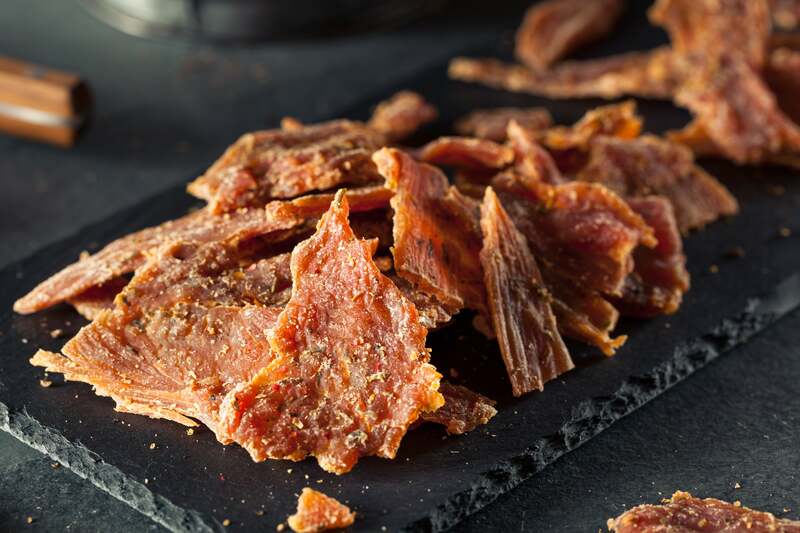 Turkey jerky is the solution! One serving contains between 10-19 grams of serving. Listen to these mouth-watering flavors: basil citrus, teriyaki, sriracha honey, ginger orange, cranberry, hickory smoke. We want to try them all! Your favorite after-school snack. 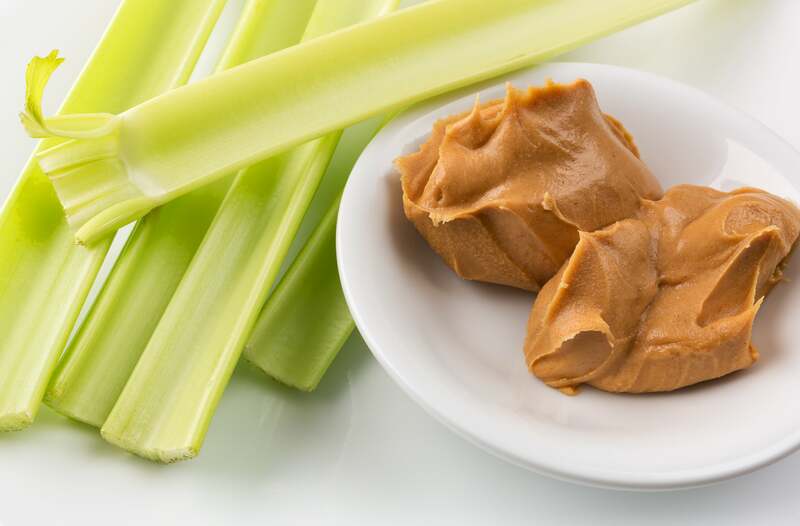 Not only does it take you back to third grade (which is a benefit in itself) but peanut butter and celery both have nutritional benefits. Peanut butter provides a lot of protein and unsaturated fat, which fuels your muscles and promotes heart health. There are many types of peanut butter, the most nutritious being organic or powdered. Powdered peanut butter is now sold in most grocery stores. To make it, follow the instructions and mix in a few tablespoons of water. Celery is basically crunchy water with vitamin K and potassium. If you aren’t a big celery fan, try apples, bananas, or pears. Boom! A perfect snack. Strawberries, blackberries, blueberries, raspberries, the list goes on. Combine them all with greek yogurt and honey in Valya’s recipe on her Taste of Home blog. Berries pack the most punch out of all fruits because they are rich in antioxidants. 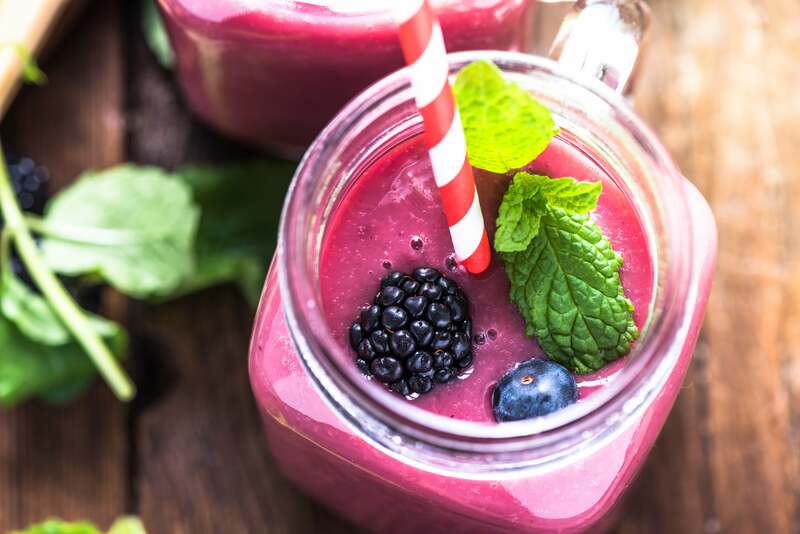 We’ve all heard how amazing antioxidants are for cancer prevention, prevention of aging, etc., but a new Harvard study found the only effective way to consume them is in their natural form. Supplements don’t work. Lucky for us, the natural way is also the tastiest way. So bring on the berries! The yogurt aisle in the grocery store has been invaded with greek yogurt. Invaded. Fortunately, the health benefits are limitless: it’s high in probiotics, protein, calcium, vitamin B-12. But how can you pick a flavor? 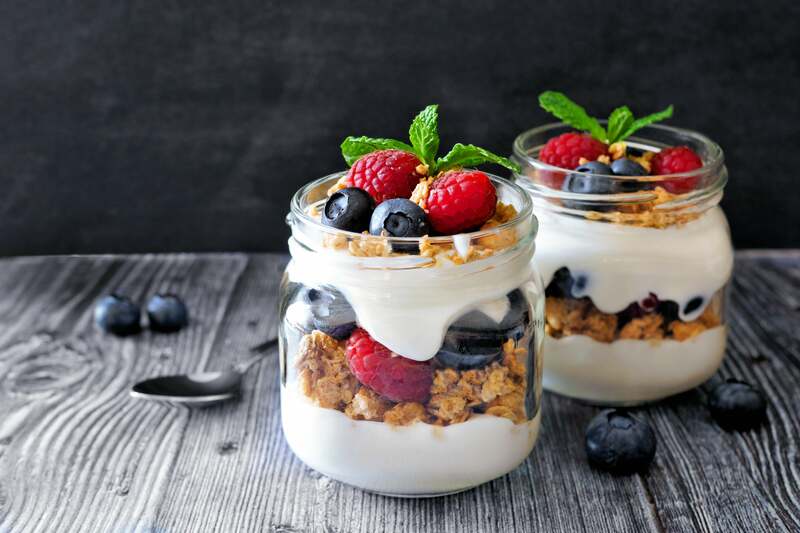 Well, plain greek yogurt has about 3 grams of sugar, while other flavors can have over 15 grams. You can sweeten it yourself at home with a little honey if you want, or go savory and use it to replace sour cream. (It really works!) 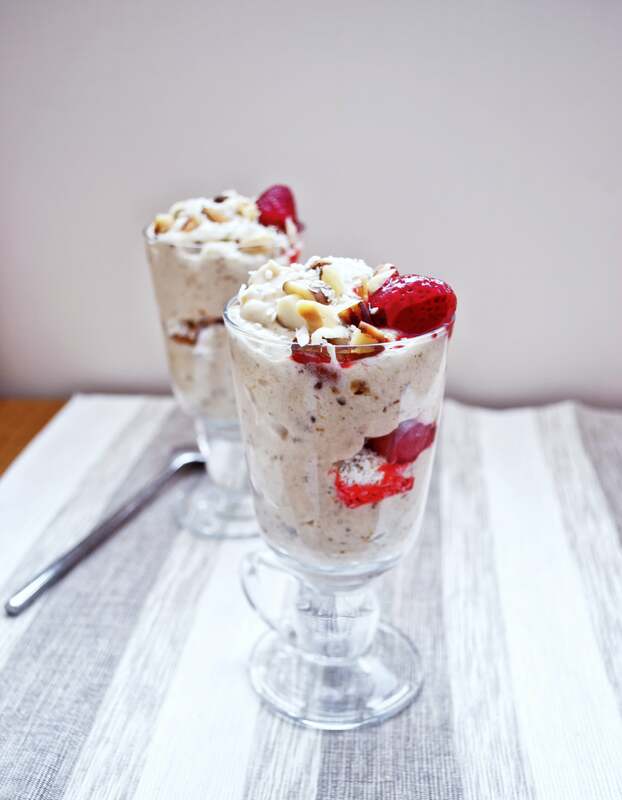 Add fruit, honey, and granola to make delicious parfaits. 12. Popcorn…Bags and Bags of It! Come on. You already know we aren’t talking about the kind from the movie theater. That stuff is dripping with saturated fats, making it decidedly unhealthy. But if you still want a crunchy corn snack, you have options! 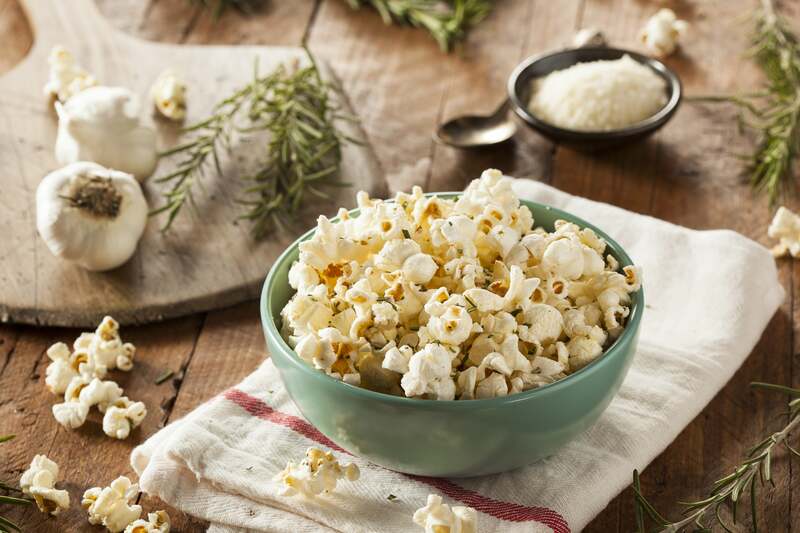 One cup of air-popped popcorn (without anything added) is 31 calories per cup. Sneak a bag into the theater to get the best of both worlds! Whole grain anything promotes digestive health because of fiber. Fiber essentially cleans out the intestines because it doesn’t get digested. Avocado is high in unsaturated fats, which have been shown to decrease cravings. 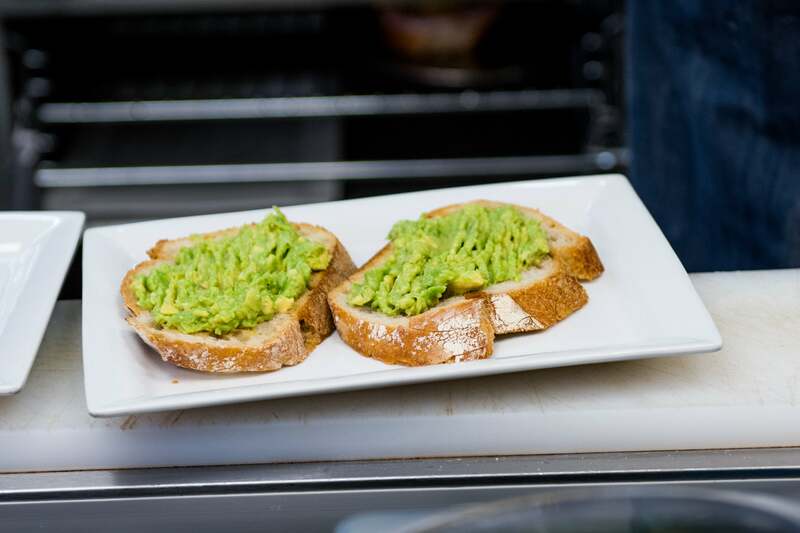 The whole grain toast plus avocado is sure to fill you up and give your body the nutrients it needs. Fresh is best when it comes to guacamole. 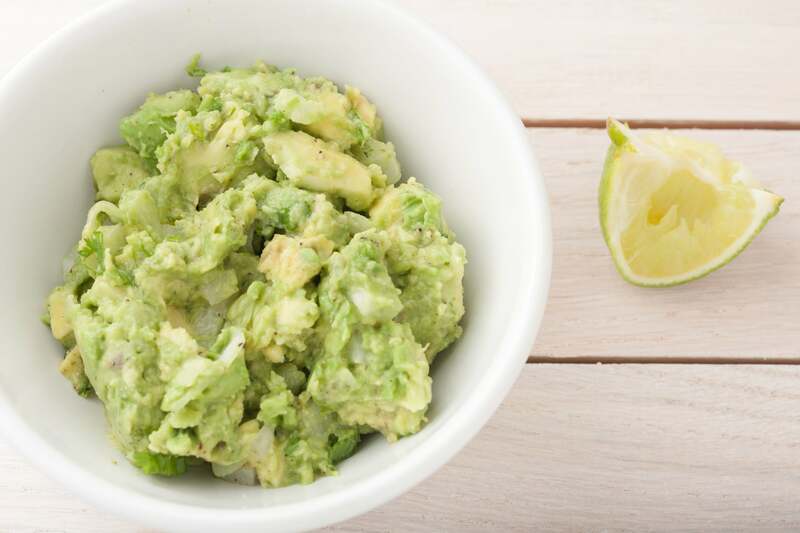 The crisp cilantro and lime complement the creamy avocado and give you a boost of vitamins and minerals. Main ingredients: avocado, onion, lime, cilantro, and jalapeno. What could go wrong? Nothing. It’s a recipe for success. Click here for an authentic, to-die-for guacamole recipe from Cookie and Kate. 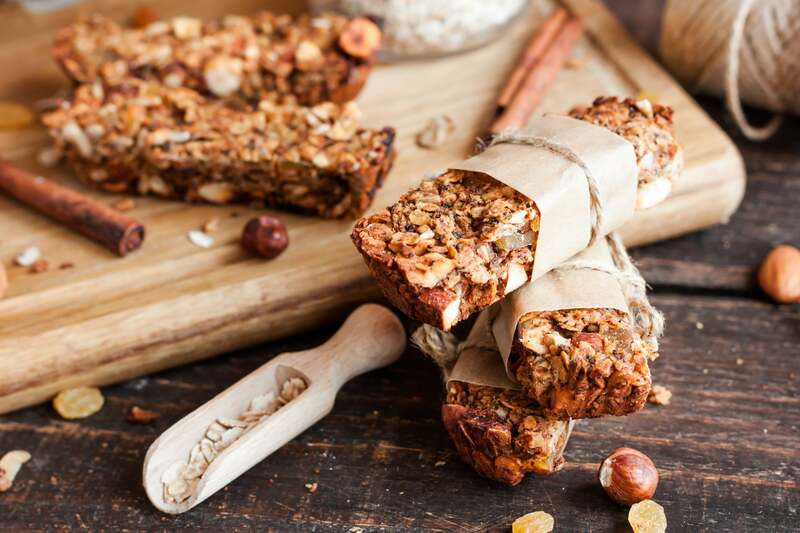 If you are always running from the gym to the store to work and back, energy bars are an awesome snack option. The shelf at the grocery store is bursting with all types of flavors and types, so what’s the trick to picking the best kind? Look for a lower-calorie option with low sugar. Because the bars are processed, many contain excessive quantities of sugar, which means they’re basically candy bars with protein. Also remember to find bars with high protein and a good amount of fiber so that it will fill you up and give you plenty of energy. Want to make them at home? Try this easy 3-ingredient recipe. Fresh or frozen, shelled or in the pod (...podded?) edamame is now a popular snack for all health-conscious consumers. It’s a soy bean, and therefore provides a good amount of soy protein and polyunsaturated fat. Half a cup contains about 120 calories. They are so yummy with sea salt, and they are fast to make in the microwave. It also contains 9 grams of fiber—that’s the same as 4 slices of whole wheat bread! But edamame has only 13 grams of carbohydrate. As far as healthy snack foods go, edamame is a winner! We can’t even list all the vitamins in bell peppers. Vitamin C, magnesium, and vitamin E top the list. 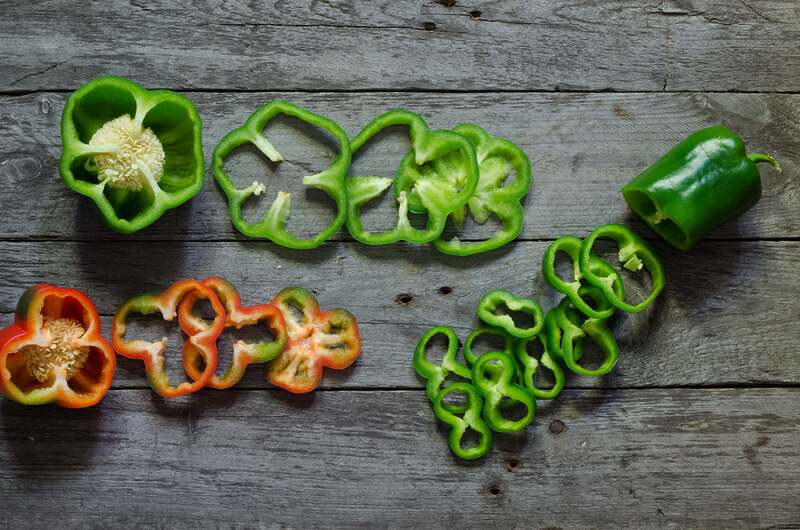 Bell peppers are crunchy, refreshing, and delicious. You can eat them plain, dip them hummus, add them to a salad, or sautee them in a little olive oil. The bright colors not only make them visually appealing, but also show how stuffed they are with antioxidants. Normal tomatoes are good; cherry tomatoes are adorable! The fact that they are already bite-size makes them an awesome healthy snack. You can eat 25 of them for a 100 calorie snack! 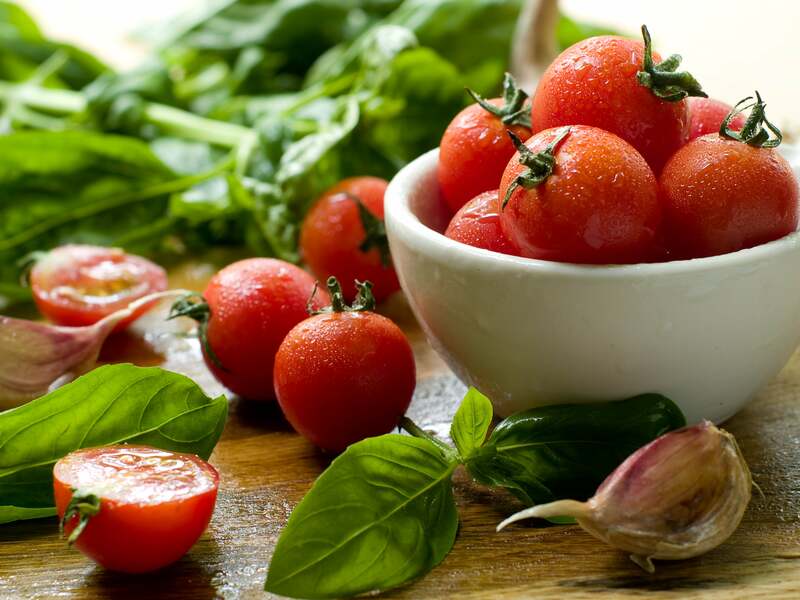 They contain lycopene, which is proven to increase prostate health in males. One serving of 5 tomatoes has 15% of the daily required intake of vitamin A. Roast them for 20 minutes at 375 coated in garlic, olive oil, salt, and pepper (get the full secret recipe here). You can eat them plain, add them to pasta, chicken, or salads! 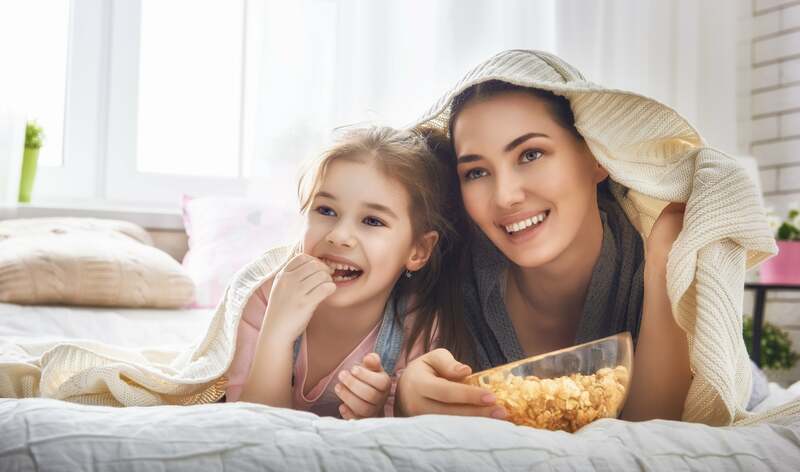 What Happens When You Convert to Healthy Snacking? 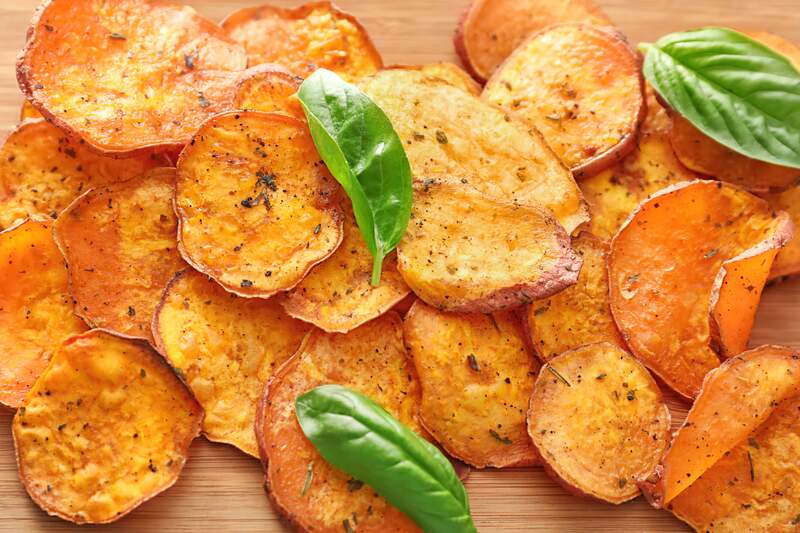 You’ve reached a conclusion: It’s time to get rid of greasy potato chips and sugary candy. What happens next? Well, number one: you will have more energy from all the protein and vitamins in your diet. You’ll feel fuller longer for the same reasons. If you have healthy snacks on hand, you can avoid the annoying guilt you feel when you eat something you shouldn’t. It’s not about restraining yourself. It’s about fueling your body. It’s a win all around! Plus if you try some of these ideas on your kids, they will grow stronger, feel happier, and sleep better. You can’t beat that! WANT TO KNOW MORE ABOUT HOW YOU CAN SNACK WITH NO REGRETS?